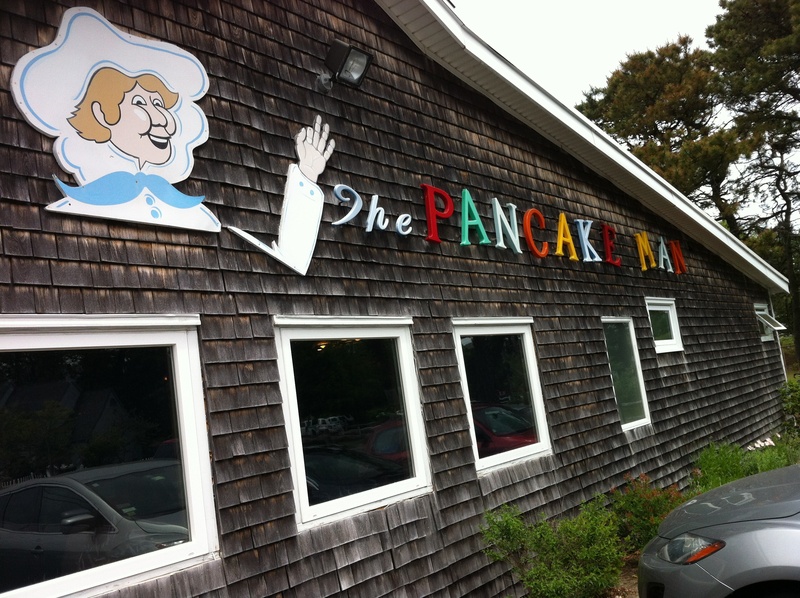 I must tell you about continuing the traditions to The Pancake Man for breakfast. 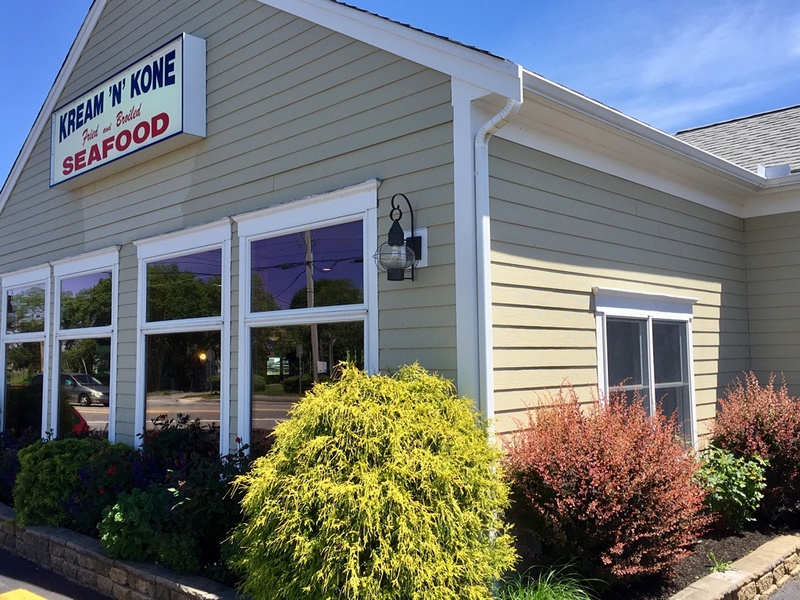 And Kream ‘N’ Kone for lunch. My pancakes were as light and fluffy as I remembered. The eggs were not over easy, though. Not even medium. More hard. I wolfed them down regardless. The bacon and ham slice on my pork platter were divine. The andouille sausage and Canadian bacon didn’t do it for me. Live and learn. My dear wife Karen adored her waffles, smothered with cream and fruit topping. 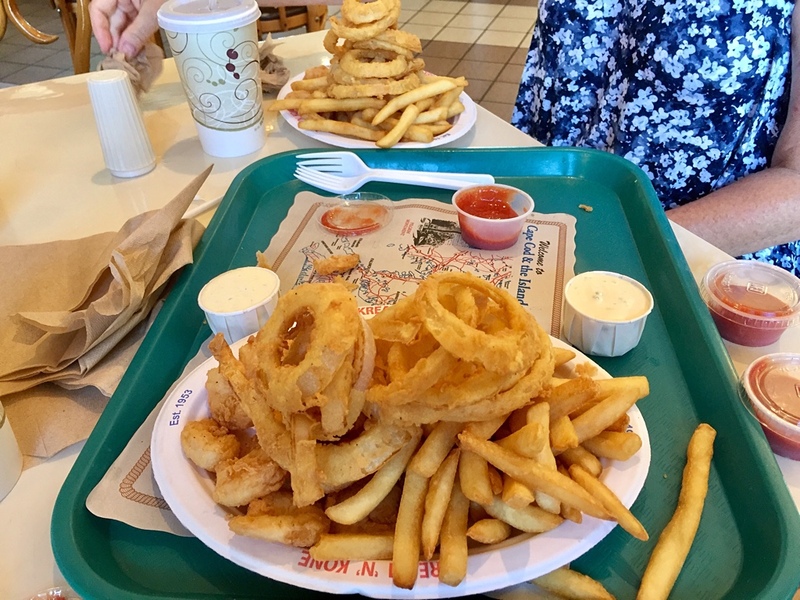 Our fried shrimp platters and Kream ‘N’ Kone came, without special order, with both French fries and onion rings. When I asked the waitress for extra cocktail sauce because neither of us go for the tartar sauce, she came with additional cups with a smile. We did not visit these places on the same day. Just saying. More cocktail sauce, why didn’t you? There you go, Beth. I can fill up without judgment!